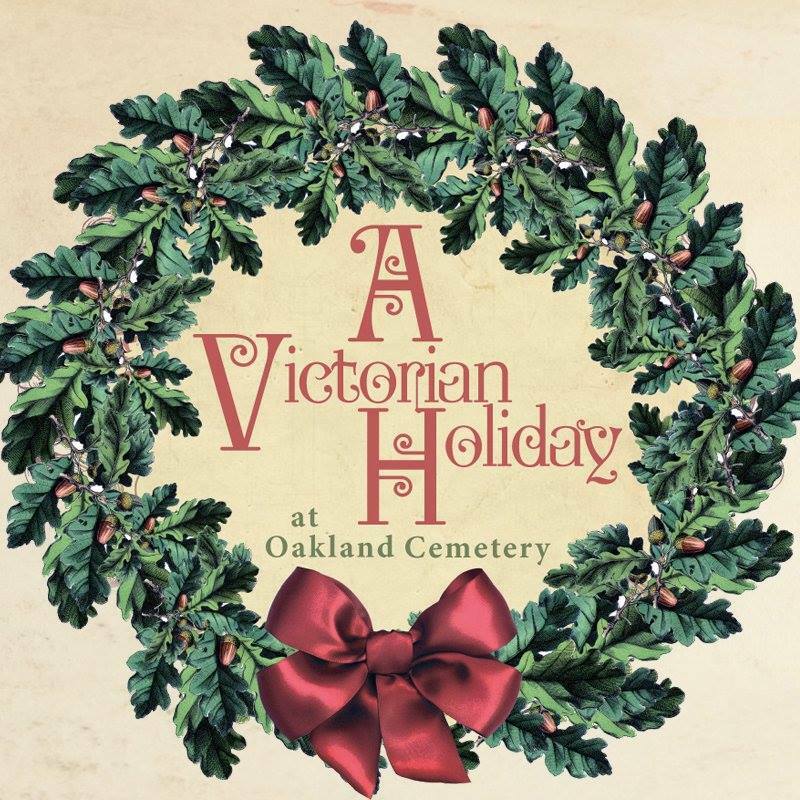 This Saturday, December 5 from 12 p.m. to 4 p.m., the Historic Oakland Foundation will host A Victorian Holiday at Oakland Cemetery, a unique seasonal celebration that is sure to become a beloved holiday tradition! Experience another side of Oakland with an exclusive guided walking tour of several of the cemetery’s magnificent mausoleums, which will be open and decorated for the holidays! Guests will get a glimpse of these iconic stone structures while listening to the stories of the Oakland residents buried within. Guests are also invited to indulge in the seasonal spirit by enjoying holiday festivities at Oakland’s Bell Tower. Warm up with a cup of hot cocoa -or wassail for adults 21 and over – while listening to holiday carols. Settle down for a reading of The Night Before Christmas or join Oakland’s youngest visitors in learning the art of the Victorian ornament. Don’t forget to take a photo with jolly Saint Nick while you’re there! All visitors to this event will get to enjoy a 10% discount on holiday items at Oakland’s Visitors Center and Museum Shop. Give your loved ones a gift that can be enjoyed all year long – a Historic Oakland Foundation membership! This special mausoleum tour is available through advance ticketing only and spaces are limited, so snag your tickets today! Tickets are $12 for Adults, $6 for Students (with ID) & Seniors (65 & older), and Free for Members.